For more than sixty years, The Wall Street Journal has prided itself not just on its serious journalism, but also on the whimsical and arcane stories that amuse and delight its readers. In that regard, animal stories have proven to be the most beloved of all. 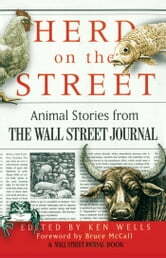 Now, veteran Journal reporter and Page One editor Ken Wells gathers the finest, funniest, and most fascinating of these animal tales in one exceptional book. Here are lighthearted, witty stories of breakthroughs in goldfish surgery, the untiring efforts of British animal lovers who guide lovesick toads across dangerous motorways, and the quest to tame doggy anxieties by prescribing the human pacifier Prozac. Other pieces reflect on mankind's impact on the animal kingdom: a close-up look at the nascent fish-rights movement, the retirement of U.S. Air Force chimpanzees that once soared through space, and ongoing scientific efforts to defeat that most hardy enemy -- the cockroach. 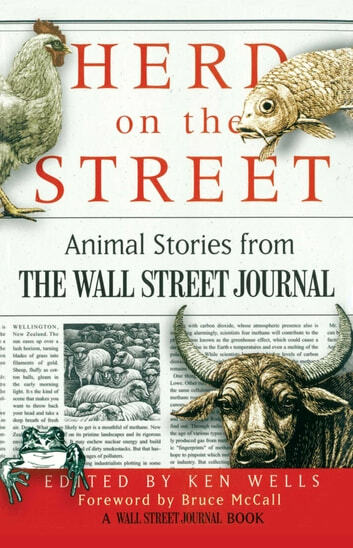 Each of these fifty-odd stories -- from the outlandish to the poignant -- exemplifies the superb feature writing that makes The Wall Street Journal one of America's best-written newspapers. This charming and utterly captivating collection will be a joy not only to animal lovers, but to all those who appreciate artful storytelling by writers who are obviously having a wonderful time spinning the tales.